Brush dynamcs in 2.10 ? @ofnuts, is there an addon for making taper path ? I know how to make sharp vertex in GIMP's path but I would like to make it more nicer and smoother. No plugin I know of. 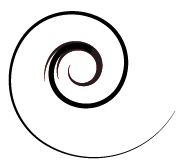 For a spiral, if it is logarithmic, making a copy, rotating that copy a little bit and splicing the ends could do the trick.